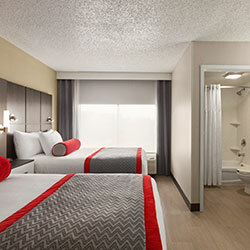 You’ll enjoy all the comforts of home in our luxurious hotel suites. 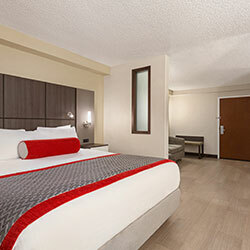 Each spacious room is fully equipped with our full assortment of amenities – including a separate kitchenette, refrigerator, coffeemaker, self-controlled thermostat, in-room safe, and 43” flat-panel television with premium cable channels and HBO. Why settle for anything less? Double the beds, yet with all the same comforts as a king suite. High-speed wireless Internet keeps you plugged into the outside world. 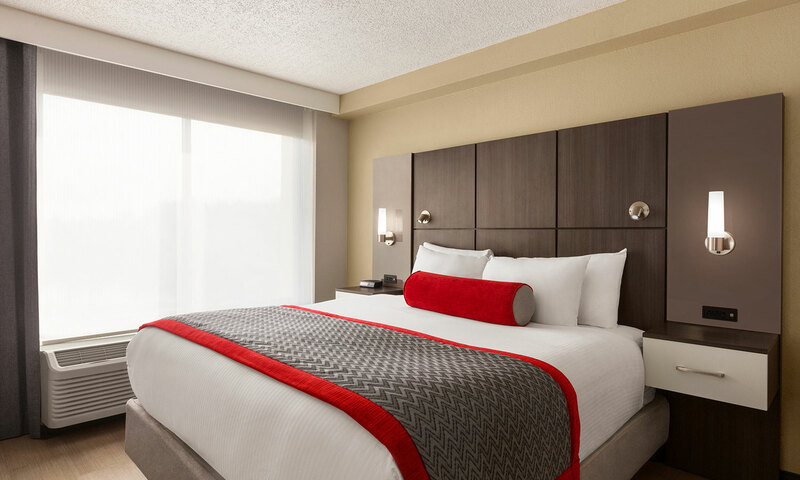 Between the in-suite sofabed, plush mattresses, and crisp linens, you and your companion will rest easy – day or night. This suite sleeps up to 6 comfortably. You’ll sleep like royalty in our king executive suite. 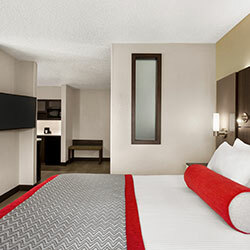 Enjoy use of an in-room desk, or relax after a busy day of exploration with in-room Wi-Fi and all the amenities, from within the comfort of your private bedroom. Plush and roomy, our king deluxe suite sleeps 4 comfortably.Features one king-size bed and a full-size sleeper sofa, each fitted with a Simmons double pillow-top mattress and 200-thread count linens. Our largest and most luxurious option, perfect for groups and families. Image for display purposes. Room may look different than displayed. 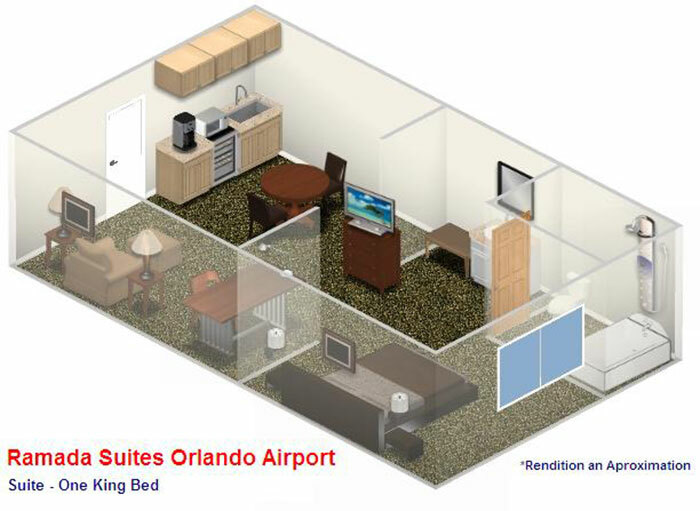 In addition to our standard array of amenities, we offer a number of king or doublesuites specifically designed for ease of access and use. 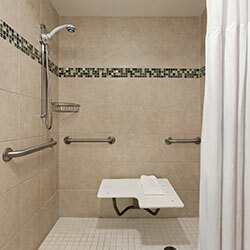 Roll-in showers or tubs provide our guests with special requirements an enjoyable and stress-free stay. 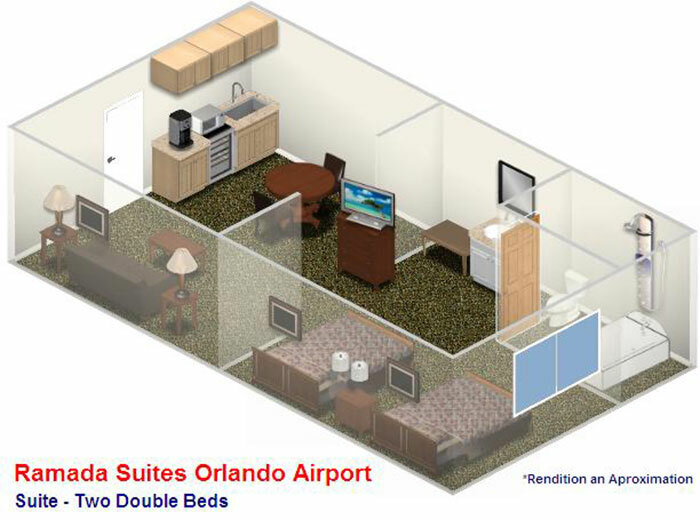 ADA accessible rooms are available on a first-come, first-serve basis.